The confidence of our security and data is essential in our smartphones. Sometimes we doubt if our Android devices are safe or secure from hackers and malware attacks. Gone are those thoughts with Google Play Protect. It’s a security service for android which provides powerful new protections as well as greater visibility into your lovely smartphone security. 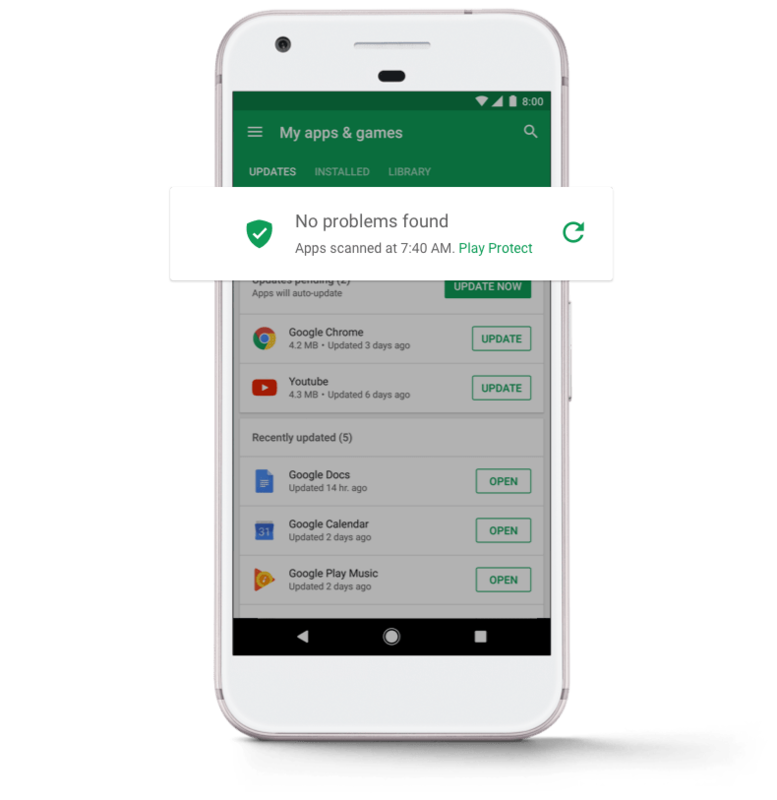 Play Protect is available to all devices running Google Mobile Services 11 and up. Google Play Protect automatically scans more than 50 billion apps every day from Google Play. It’s always on the look for risks by identifying potential harmful apps and removing them from your device or in Play Store.